NEW Vermont Orthos Available for Rutland & Windsor Counties! The first installment of the THIRD vintage of digital orthophotos of Vermont is available for free download! 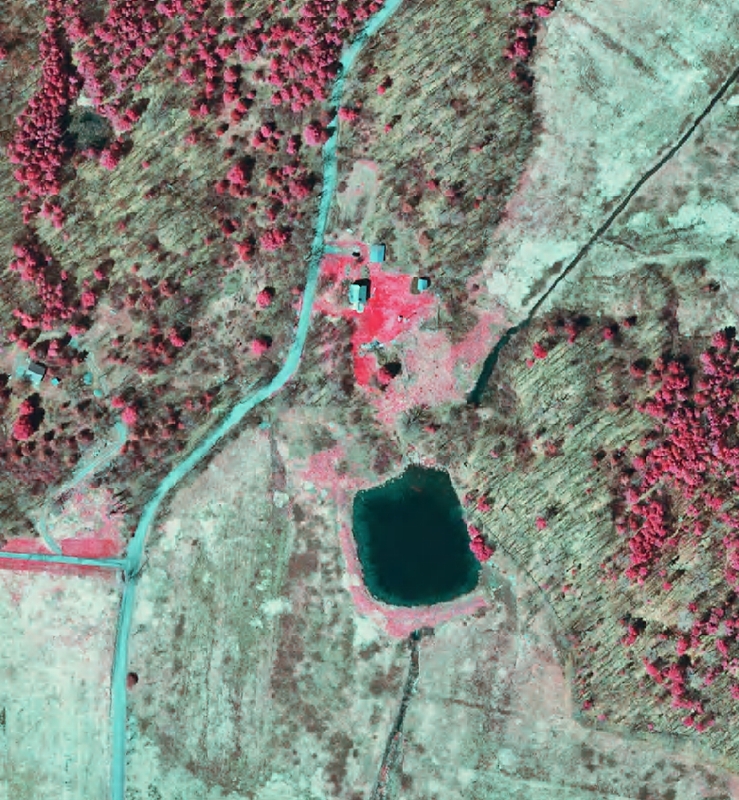 Accuracy is expressed as follows: The horizontal accuracy of the orthorectified imagery shall meet or exceed a verified ASPRS Class I horizontal accuracy of +/- 1 meter RMSE (for both X and Y) for 50cm ground sample distance imagery and 2.44 meters at 95% confidence level according to the NSSDA standard methodology. VCGI is happy to announce the release a new 10m statewide DEM and derivative layers from the recently completed (Jan. 2012) statewide 1/3 arc-second (~10m) DEM from the USGS National Elevation Dataset (NED). 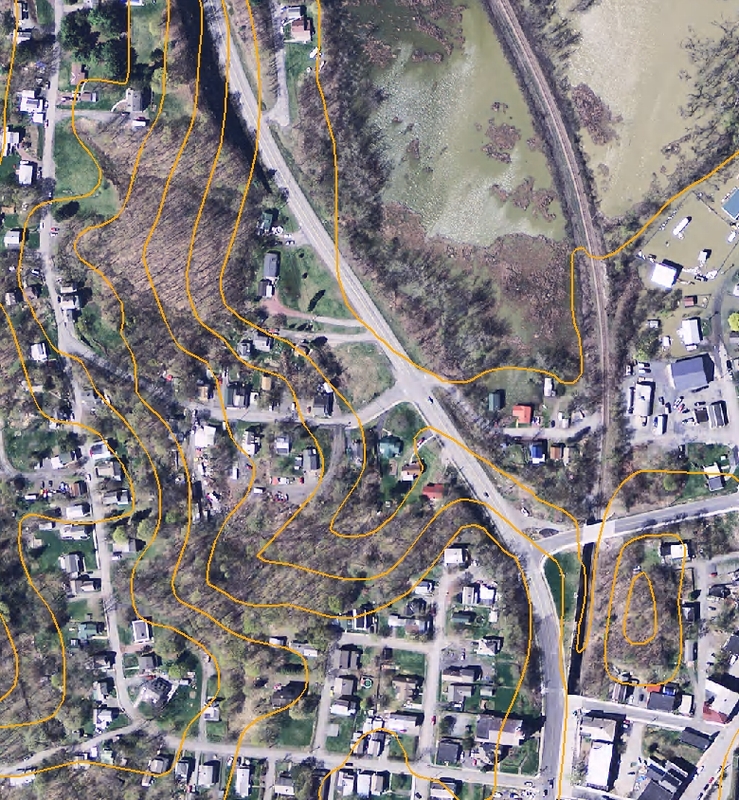 The NED is a multi-resolution dataset so for areas where LiDAR data exists the vertical accuracy is higher and subsequently the derived contours won’t match the 7.5′ USGS Quad Contours very well. See the Abstract section of ElevationContours_CN20T for more on this issue. While the layer ElevationContours_CN20T can be custom downloaded, e.g., “clipped and zipped”, the other datasets are statewide in extent and compressed to “zip” files due to their size. These zip files contain both metadata and layer files you can elect to use in ArcGIS. direction of the maximum rate of change in value from each cell to its neighbors. Values rounded to nearest Integer. values rounded to nearest integer. has not conducted any verification. It is highly recommending you review this issue before investing substantial resources in a modeling project. white Orthophotos (1994-2000), and will not necessarily match up with the 10m DEM or the latest vintage of Orthophotos (2005-2010). (using the local resolution NHD for VT, i.e., the “VHD”) was interpolated from the VT Mapping Program orthophoto rectification X, Y, Z points to support the NHD effort and creation of “WaterHydro_VHDCARTO”, a cartographic version of the NHD with “intermittent” and “perennial” modeled streams. Having created it and working with ElevationDEM_DEM10m I would say the latter is more accurate. However, this raster does have the advantage of being integrated with the VHD. ElevationContours_CN100T and *_CN50T – These are not currently based on the 1/3 arc-second NED and will be replaced sometime in 2012. Until then they will not be coincident with *_CN20T. You are currently browsing the VCGI's Blog blog archives for May, 2012.